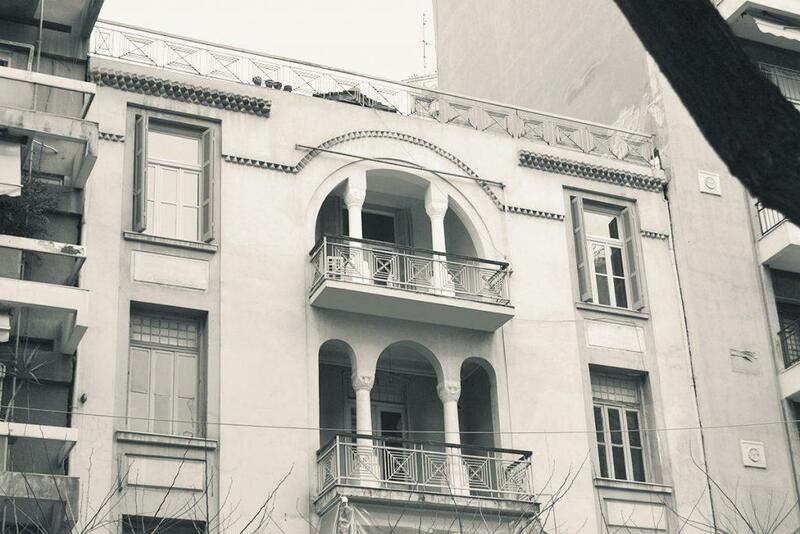 Located in a 1920 building, The Trilogy House offers luxurious conceptual stay in the very heart of Thessaloniki, Greece. It consists of 10 autonomous rooms, furnished and decorated with original design objects supplied by prestigious international brands such as Vitra, Tom Dixon and Fritz Hansen. This unique space can make any traveller looking for a short or long term stay feel like home. The aesthetical approach of the interior is conceived by a local creative architectural office with great attention on details. Materials and technologies used come along with respect to the authentic historical character of the building. Old colourful walls, high ceilings, design objects and greenery compose an inspiring and ambient environment, yet fresh and unconventional. Thessaloniki is a amazing city to live in. We would love you to see it through our eyes; that’s why we want to make you feel like home at first. Whether you are looking for a holiday escape or you are on a business trip, your stay is carefully designed and organized in order to offer you the most of it. We invite you to share The Trilogy House experience with us!